The 2012-2013 West Virginia basketball season was a disaster for all parties. Head coach Bob Huggins famously stated, “It’s my job to fix it.” Huggins certainly attempted to do so by totally revamping his roster. 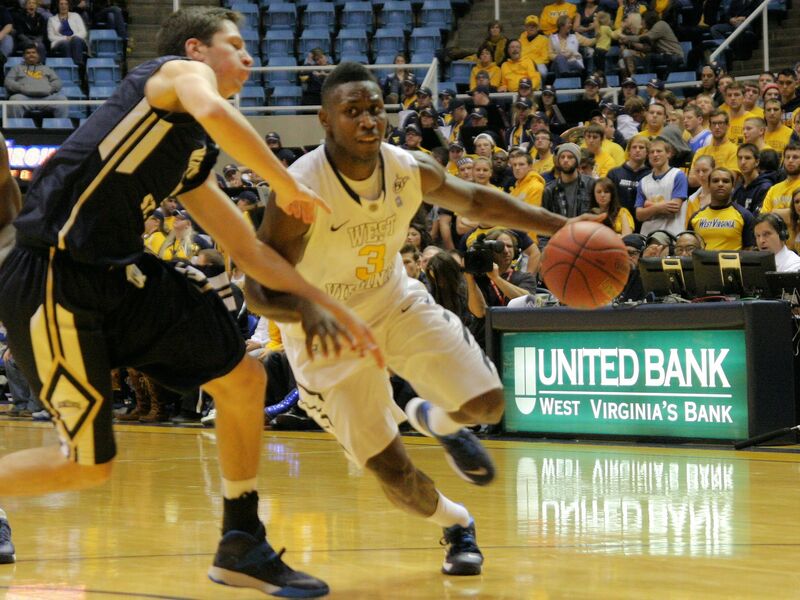 With numerous players transferring out, some were surprised that point guard Juwan Staten wasn’t among their number. Based upon early results from this season, Mountaineer fans can be glad he still sports the gold and blue. Staten has certainly been the best player on the team through the first five games of the season, averaging 19.2 points, 5.4 rebounds, 7.6 assists, 2 steals, and only 0.8 turnovers per game. In fact, his 9.5 assist to turnover ratio ranks 2nd in the country. According to Huggins, Staten’s success is the result of persistence, a positive attitude, and hard work. The most noticeable improvement in Staten’s game this year is his shooting touch. After connecting on only 37.6% of his field goal attempts last year, he’s shooting a torrid 57.4% to date this season. He even managed to score the first three pointer of his Mountaineer career against Presbyterian last week. With such a young roster, this year’s basketball squad will undoubtedly face some ups and downs. But with Staten leading the team with improved shooting, a faster tempo, and a positive attitude, the Mountaineers will certainly show much better results by the time March Madness rolls around. The final West Virginia football game of the season will take place this Saturday at 4 p.m. at Mountaineer Field. The Mountaineers will take on the Iowa State Cyclones in a battle for pride alone, as neither program will be bowl eligible this season. The Mountaineers won last season’s battle in a frigid 31-24 victory at Jack Trice Stadium. Saturday’s game will be televised on Fox Sports 1.